“We thank Secretary Perry and the leadership of DOE’s Office of Nuclear Energy, for supporting our innovative proposal. This will have far reaching consequences to the advancement of welding of critical mission components in the nuclear industry and will contribute to the success of the US Small Modular Reactor program. We look forward to working with our partners Sandia National Laboratory, Lincoln Electric, and Edison Welding Institute,” says Myron Kaczmarsky, Senior Director of Holtec Government Services. Offering quality welds in plant’s pressure vessels, the hybrid laser arc welding development program brings Holtec one step closer to achieving a 100-year service life SMR-160 nuclear plant. In this respect, the DOE’s support will likely have an impact far beyond its modest dollar value of $6.3 million. Holtec International employs hundreds of welders and mechanics in each of its heavy manufacturing plants in Pittsburgh, PA and Camden, NJ and the light manufacturing plant in Orrville, Ohio. 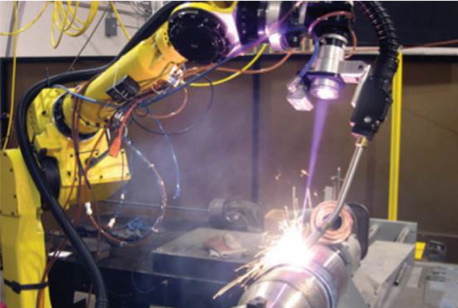 The Company has introduced several cutting-edge welding processes in recent years, such as friction stir welding and robotic narrow groove welding, to maintain its technical leadership in the global manufacturing technology race. “A strong, supple and innovation-fueled welding program is an essential ingredient of the continuing success of our nuclear undertakings to which the DOE’s award is a timely elixir of support,” says Holtec’s Chief Communications Officer, Ms. Joy Russell.